With this Java test, you can assess the skills of prospective candidates before ever inviting them to an interview. The exam consists of 20 questions compiled by a group of experts in the Java programming language and covers a broad spectrum of Java knowledge. You can use our Java online test to easily identify which candidates show the highest aptitude for Java development and which you can safely pass on. Taking advantage of Java quiz is a surefire way to streamline your interview process! Note that for the purposes of this question, neither reflection nor bytecode manipulation may be used to modify another class. The correct answers are 4 and 5. So you've got candidates who have passed our online test – great! Now it's time to invite them to a live interview so you can personally ask some programming questions. Our team of experts has assembled a set of ready-made Java interview questions and answers you can use in your interview process. We provide all the information you need to interview candidates like a professional developer! Be sure to check out our blog article, 10 Java Programming Questions to Ask on Interview! 1. 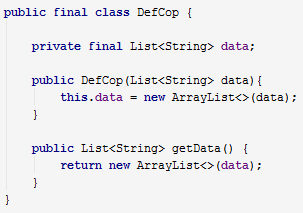 How was this Java test developed? The questions in our Java programming test were created by highly skilled team of Java programmers, each with 7 or more years of development experience. We took the questions they wrote and pared them down to the ones we decided were the most useful in terms of applicability to actual Java development. The final version of the test consists of only the top 20% of all the questions written. 2. Is every candidate given the same questions? Yes, as a matter of necessity. 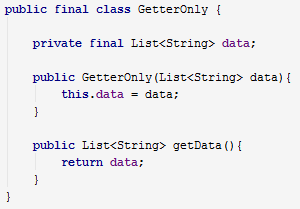 All candidates are given the same Java exam questions in order to make a fair comparison between them. If candidates were given different questions, there would be no way of making sure that each individual test is of the same difficulty. However, the order of the questions and answers in the test is shuffled for each test. 3. How should I interpret the exam scores? This Java online test is not designed to help you identify the best candidates. It's designed to help you avoid the worst ones. Let's say you give 5 candidates our Java interview test and they get scores of 25, 40, 60, 65 and 80, based on a maximum possible score of 100. Wrong – it's better to invite the top three to an interview (the 60, 65, and 80). When you hire a developer, you need to weigh several factors on top of their skills and knowledge. Hiring a "genius programmer" won't help you much if they have no real development experience or don't work well in a team. The bottom line is, don't base your hiring decisions on Java programming test results alone! 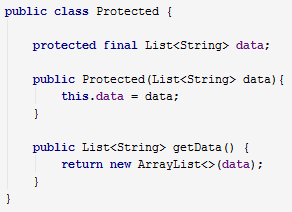 Our Java test has a multiple-choice format, i.e. it's quiz. Instead of writing code, users choose answers from a set of pre-written options. 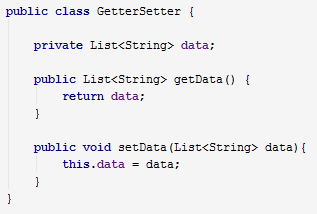 Though we're well aware some of our clients might prefer a Java coding test, simple logistics keeps us from implementing such a thing: there are so many different ways to write functional (but not necessarily good!) code that we'd have to check all answers manually. However, we do intend to add a feature where customers will be able to add their own custom write-in questions. This way, you can screen candidates using both our Java quiz and written answers to the questions you create. Be sure to contact us with any questions or feedback you might have about this feature! 5. What level of skill is it intended for? Our Java skills test was made for mid-level developers; however, it can be used to test junior and senior programmers as well. Of course, if you use it to test junior programmers, you need to reduce your acceptance score to compensate. Likewise, for senior Java programmers, you should increase your acceptance score.